Pacific Dawn currently cruises from her homeport of Brisbane almost all year round, offering cruises both domestically and within the South Pacific. 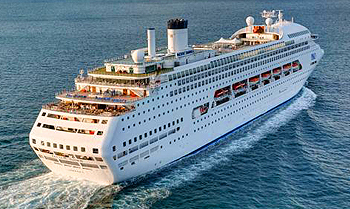 For those wanting to give cruising a try or looking for the perfect celebration or weekend getaway, Pacific Dawn cruises operate numerous 3 night getaways from Brisbane which sail into the Pacific and circle back, or 4 night breaks from Brisbane to Airlie Beach allowing passengers to disembark and explore the Great Barrier Reef. The most popular Pacific Dawn cruises are from Brisbane to the South Pacific and more specifically her 7 night round trip itineraries visiting Noumea and New Caledonia, however if you’re looking for a longer islands cruise aboard Pacific Dawn there are a handful of South Pacific itineraries up to 10 nights on offer. You can also explore more of Queensland onboard Pacific Dawn with 7 night Queensland cruises visiting Airlie Beach, Yorkeys Knob, Port Douglas and Willis Island. With so much to do, you’ll welcome each morning on Pacific Dawn. Look out to sea from the observation deck, chill out in the three-storey atrium, test your courage at the P&O Edge Adventure park, roll the dice at the casino or dance the night away in The Dome. From October 2020 Pacific Dawn will be moving out of the tropical north to homeport from Melbourne. Take a sea break of 3 or 4 nights, discover the coast of Australia or even explore Pacific ports in the South Pacific or New Zealand. 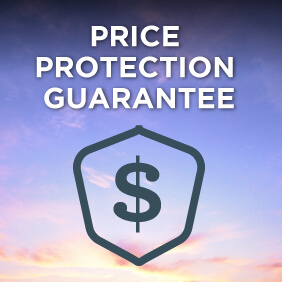 View a selection of the best P&O Australia cruise deals, more options for P&O Australia cruises or view the full range of cruises from Brisbane including other cruise lines. If Pacific Dawn’s non-stop activities aren’t your cup of tea, perhaps we can interest you in an actual cup of tea? Or maybe a spot of retail therapy? Whether surrendering to sleep-ins, saying hello to the sunrise or even just reading a book as you inhale the fresh sea air, its the little moments of me time that make all the difference. Take a class, use the gym, relax in the sauna or salute the sun. Keeping fit while floating is easy. Leave your worries behind at The Oasis. It is just like it sounds-a happy, peaceful escape that is all about the downtime. Ascend high above the top deck to The Dome viewpoint. You will get the best view on the ship. 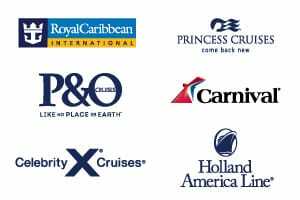 What sets P&O Cruises Australia apart from other cruise lines? Our commitment to innovative, fresh and fantastic food – otherwise known as P&O’s Food Revolution. There’s a minimum of eight dining experiences onboard each ship, including the Pacific Dawn. From Australia’s only celebrity chef restaurant at sea to a room service snack at any time, there’s something for everyone. Be it breakfast, lunch or dinner Plantation Restaurant offers an ever-changing selection. With over 40 a la carte menu items for breakfast lunch and dinner Waterfront serves up both classic dishes and cutting edge cuisine. Eat as many plates as you can and try all the flavours of the world at The Pantry, our interactive-style dining experience. We have a world of activities for you to discover onboard the Pacific Dawn. From party nights to the P&O Edge Adventure Park, Kids Clubs to the adults-only Oasis  theres something fun for everyone. Choose from over 60 activities onboard daily or choose to sit by the pool and do absolutely nothing at all. With P&O, the way you holiday is up to you. Tag, youre it! Battle it out with friends and family during an all-ages game of laser tag. Always wanted to know how to make the perfect latte or dance the cha cha? With a range of classes onboard, well teach you to master all sorts of skills! Cool off on our fun waterslides! Play the day away with the kids at our interactive water features in the waterpark onboard. The sun has gone down but the fun is by no means over yet. After dark get ready for live music, comedy, theme nights, production shows and more on the Pacific Dawn. And the best bit? No tickets or taxis required, the party’s all hear ready when you are. Dinner and a show will never be the same after a P&O cruise. Our original production shows keep you entertained. From acoustic duos to rocking four piece party bands, we have got a wide range of talented musicians playing live everyday.